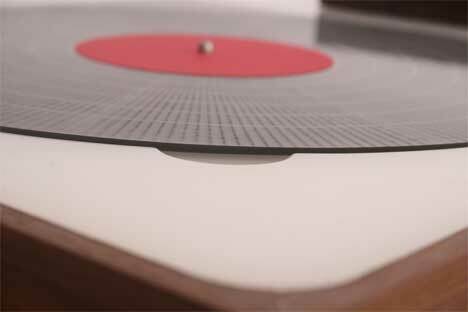 Most arguments in favor of vinyl over digital music center around the quality of sound. 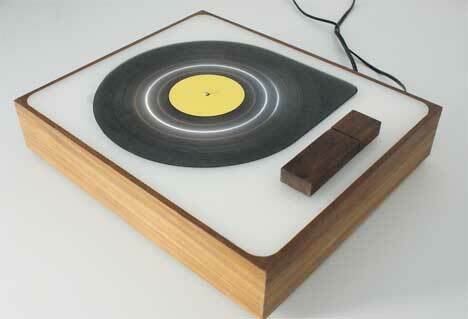 Not so for designer Martin Skelly, who believes that digital music is lacking in the tactile satisfaction department. To remedy this egregious problem, Skelly designed the Playlist Player, a delightfully backwards sort of music player. 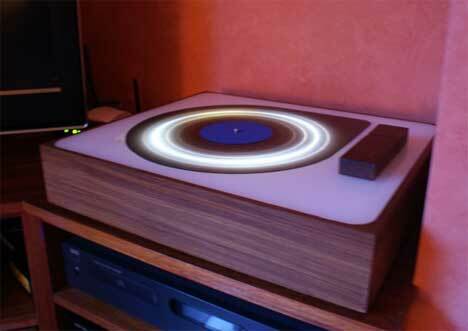 The Playlist Player looks like a record player but works like an MP3 player. After creating playlists on your computer, you load the lists into the player via a memory stick. Each of the color-coded “records” represents a different playlist. Setting a “record” onto the player activates the playlist associated with that color. Unlike an MP3 player, the Playlist Player doesn’t allow users to skip, fast forward, rewind, or otherwise alter the course of the playlist. The listener simply puts the music on and lets it run its course. A beam of light shines up from beneath the “record” as it’s playing, representing the needle on a traditional record player and cluing the listener in on the progress of the playlist. The project was created with respect for a physical connection to one’s music. 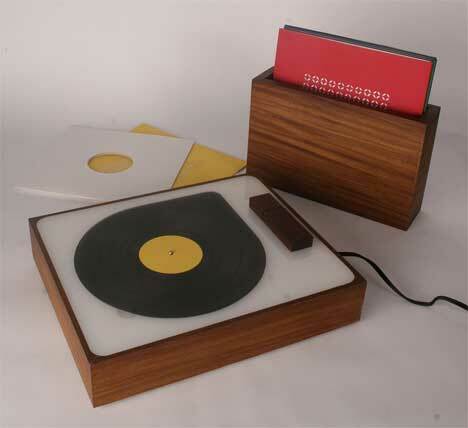 Creating digital playlists, dragging and dropping songs on a computer screen, and pushing a button on an MP3 player is nowhere near as satisfying as choosing a beloved record, carefully setting it on the player, and gently placing the needle in the groove. While Skelly’s creation can’t exactly recreate all of the sensations associated with vinyl, it does allow one the satisfaction of physically grabbing a playlist and setting the music in motion. See more in Audio & TV or under Gadgets. May, 2010.